« Guilty as Charged – Endangerment, Extirpation & Extinction in Canada. 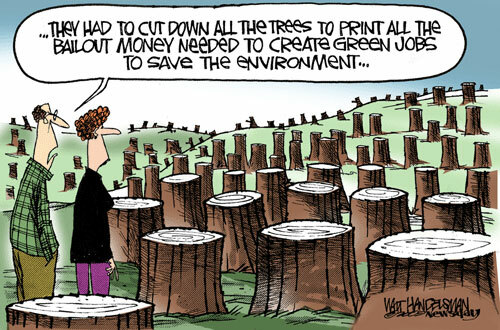 Just a few tidbits of green humour, environment, energy, politcal funnies to help green up your day. What did the California wind farm say when it met Governor Arnold Schwarzenegger? – We’re big fans of yours! What’s the best way to charge a car battery? – With a credit card. What do you call a silly old man? What should they do to gas guzzlers? – Lock them up in a fuel cell. What did the 150 kilowatt Southwest Wind Power wind turbine say to the 15 kilowatt wind turbine? – Trick question: Southwest Wind Power wind turbines don’t talk. They whisper. How can you grow your own power plant? – Try planting a light bulb. Is a vegetarian permitted to eat animal crackers? Laughter is the best medicine, I say. 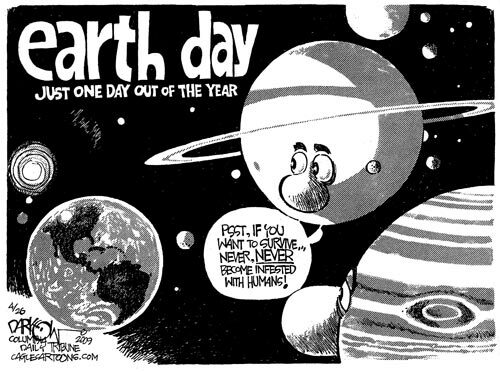 So let’s cure ourselves & save the planet. Wow! Truly inspirational jokes! They make me want to keep making my own jokes and hopefully one day become a successful comedian! I saw this thread and couldn’t help diving in! Took me values bright and early to scan all the comments, but I extraordinarily enjoyed the article. It proved to be Very constructive to me and I am satisfied to all the commenters here! It’s many times kindly when you can not only be au fait, but also entertained! I’m sure you had as a lark essay this article.